Simon Gerrans pipped Ben Swift to win stage four of the Tour Down Under and strengthen his lead on the overall classification. Gerrans followed the wheel of lead-out man Daryl Impey in the closing metres of a reduced group sprint with Swift (Sky) unable to come around the Australian in Victor Harbor. “I really worked hard for this year’s event, put in a big pre-season so it’s nice the work is starting to pay off,” the 35-year-old said of his second consecutive stage triumph. 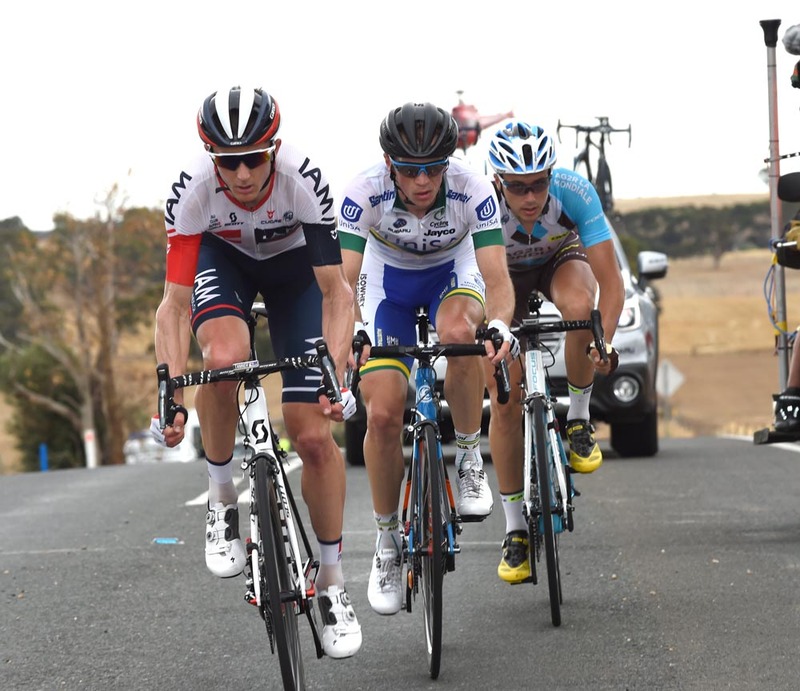 Gerrans has a handy 14 second buffer on Jay McCarthy (Tinkoff) heading into tomorrow’s queen stage at Willunga with Sky’s Sergio Henao sitting fifth in the general classification, 28 seconds in arrears of the leader. Henao furthered his advantage in the mountain classification claiming the single KOM prime, which featured in the punchy 138km run, as Richie Porte (BMC) was unable to stay with the Colombian. 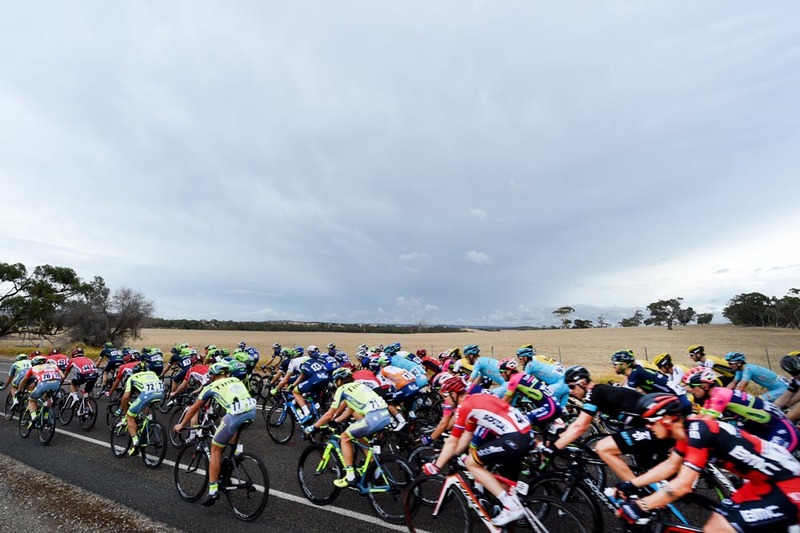 The peloton sped out of Norwood this morning with Orica-GreenEdge controlling the pace to ensure Gerrans took a maximum time bonus at the first intermediate sprint. A three-man break including David Tanner (IAM), Pat Shaw (UniSA Australia) and Alexis Gougeard (Ag2r La Mondiale) was then allowed to escape, achieving a maximum time advantage over five minutes. The trio, however, were slowly reeled in as the general classification teams, including Tinkoff, began to mobilise in the approach to the categorised Crows Nest Rd climb within the final 30km. The pace up the climb proved too much for some and the peloton split with an elite group of about 40 riders left to determine the race. 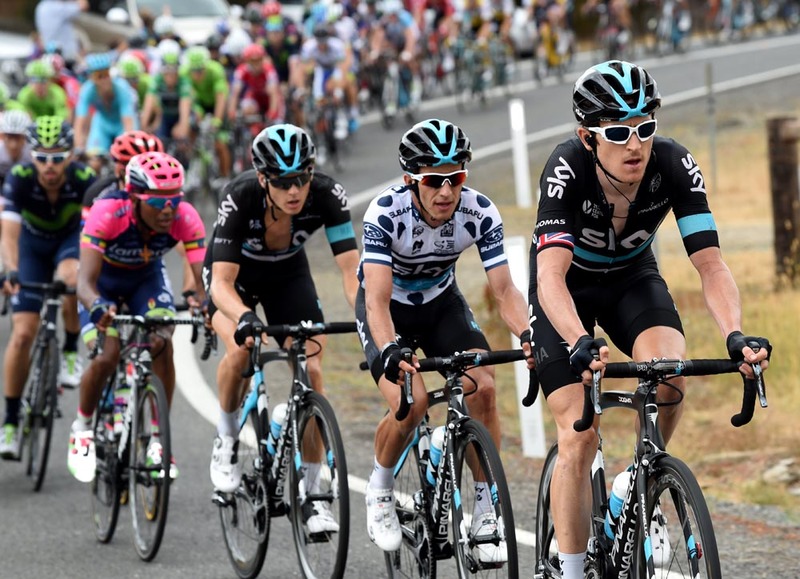 Sky took charge within the last 12km, hitting the front as Peter Kennaugh and Ian Stannard dictated the tempo. The outfit led the race into the technical finish on the esplanade protecting Henao and also setting up Swift for a dash to the line. Katusha took over with two kilometres to go before Impey, Gerrans and McCarthy all moved up for the final run to the line. 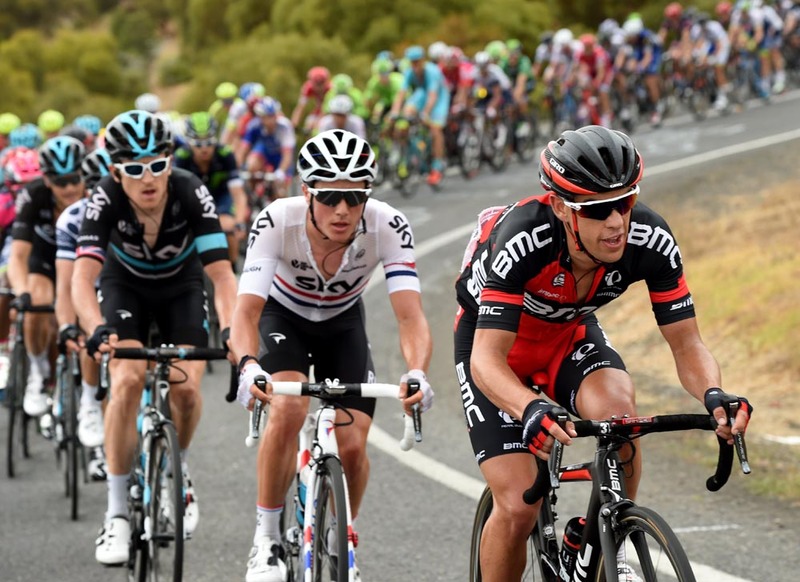 The Colombian Henao, who has twice now shown his climbing form at the race, will have another opportunity on Willunga tomorrow, with Gerrans still watchful. “We’ve got a nice little buffer there but there’s still a heck of a lot of work to be done,” he said.